Since the E3 update, there are not a lot of great guides out there for everyone. Thus, today, I decided to write this guide to cover up all of the most important information about E3 for you so you could see how much an E3 could impact your progression. 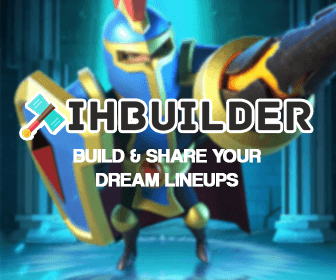 Also, I will show you the best ways to get Fodders during the mid game of Idle Heroes.
. Which means, it is now roughly tripled to get a Hero to its max level. The E3 Meta will last much longer! Most of the casual players will never be able to get a full team of E3 heroes. Never underestimate a hero which are crazy-strong at E3. Also you can always replace your Heroes later with ease by using the Soul Symbols. Now, the number of Dark/Light Fodders remain. You only need 2 extra copies of your Hero and Fodders from the other faction. Thus, upgrading your Dark/Light Heroes to E3 is virtually the same as other factions heroes. If you can only upgrade one Hero to E3, use the most ridiculously overpowered one. Fodders will take a much longer time so choose the right one to upgrade to E3. When you start upgrading your last Heroes, a lot of new Heroes would be released and you might get a lot more copies of better Heroes. Mid-game is when you can easily complete every single Idle Heroes event (okay sometimes you can’t fully complete Fusion, Heroic Summon Event or Prophet Orbs). This is when you can comfortably switch from pure resource management to using a part of your resources on the additional fodders. The more fodders you have, the faster your progression is. Could be also helpful for new players. would be also very helpful in Altar events. I myself usually buy as many as I can every day. for roughly 12M gold, which is a very great! Prophet Orbs Event: Besides spinning Casino for Dark/Light shards, this is always the best source for getting Dark/Light Fodders. Always open at least 60 Prophet Orbs If you can to get those Dark/Light prizes and a top-tier Hero. This also helps you complete every single Heroic Miracle event with ease. After a year of playing and fishing all Heroic Miracle Events, you will be able to bring one of your Dark/Light Hero to E3. Usually for players who have a lot of extra resources. 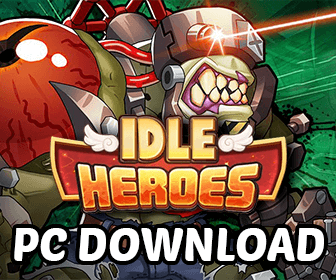 Heroic Scrolls – To complete a Heroic Summon Event, you need to spend hundreds of dollars during the month, or you might need to save up scrolls for months. Buy as many scrolls as you can. fodders. Only do this If you really don’t have anything to spend your Gold on. I strongly recommend you taking a look at this guide for more details about buying Basic Scrolls. each, which are insane deals for actual Heroes. Do this when you have a huge amount of spare Gold. They could help you a lot in Heroes Exchange event and come in handy when you need to do some fusions. If you value Heroic Scroll at 175 Gems, it would be 26% instead of 8%. Whales know what to do here :P.
in the Shop with Gold!